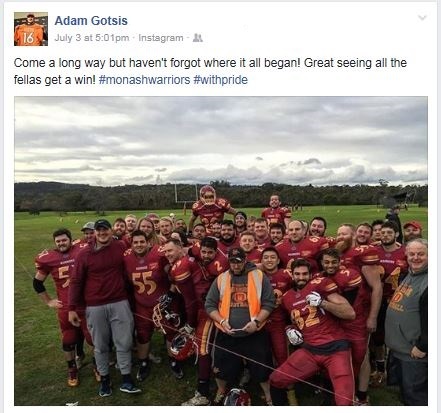 Former Warriors Gridiron Champion and current rookie Denver Bronco Adam Gotsis was in Melbourne for the week and was able to get down to watch his old Warriors Teammates defeat the Berwick Miners 68-6 in cold conditions in Melbourne. Adam played 4 seasons with the Warriors before he took off to the states to begin his college career with Georgia Tech before then being drafted 63rd overall (2nd Round) by the Denver Broncos in the 2016 NFL National Draft. Adam is in Melbourne finalising Visa details before he heads back to Colorado to continue rehabbing his knee. Asked about his experience with the team so far Adam explained “It’s unreal. The veterans just want to help the rookies. I sit next to D-Ware (DeMarcus Ware) and he just always helping the Rookies”. Adam is hoping to be able to cleared before training camp which begins for Broncos Rookies on 24th July whilst the Veterans report on 27th July. 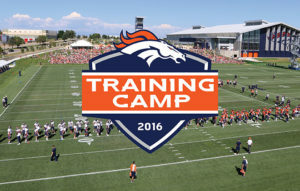 Training camp will be held at the Paul D. Bowlen Memorial Broncos Centre. 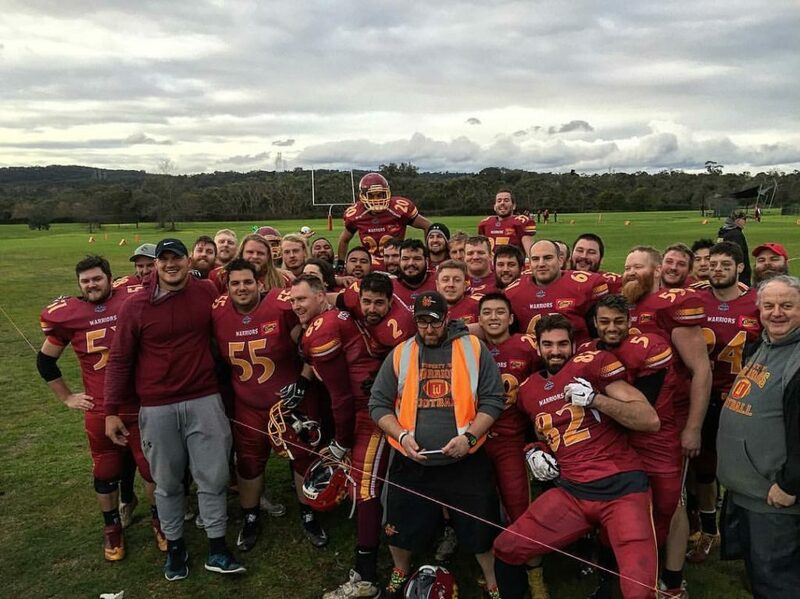 The Warriors would like to wish Adam all the best with this recovery and also when he competes at his first ever NFL training camp! This entry was posted in Senior Team. Bookmark the permalink.